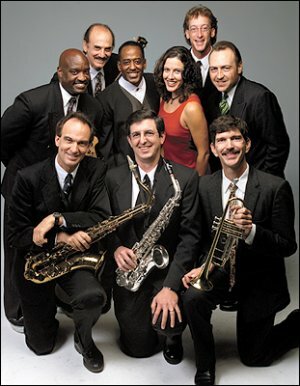 The Cool Jerks deliver Motown, R & B, Soul, and Big Band Swing with signature style and class. Timeless material from every era of cool is the basis of a dynamic, nonstop show featuring powerfully energetic vocals, funky dance moves, the finesse of the coolest rhythm section around, and a sizzling top brass horn section. Treat your guests to the best with one of California's favorite party bands: the Cool Jerks.